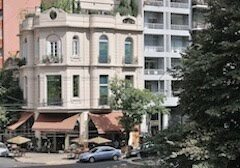 It’s election season in Argentina, and most observers consider President Cristina Fernández de Kirchner’s re-election on October 23 a near sure thing. Given that the country’s GDP is growing at an eight percent rate, the highest in all of Latin America, it’s even possible that the president’s Victory Front, a faction of the Peronist party, could obtain majorities in both houses of congress. Despite the haplessness of the other major parties, that doesn’t mean a lack of drama. Unfortunately, most of that drama is the creation of the government itself, in political maneuvers that smack of cheap electioneering. Most notably, it’s their response to criticism on the issue of inflation: the government insists that this year’s figure will be only 8.9 percent – which most other countries would consider high – but the consensus among private consultants and the International Monetary Fund is that prices are rising between 25 and 30 percent annually. That would give Argentina the world’s second-highest inflation rate, lower only than that of Belarus (41 percent). 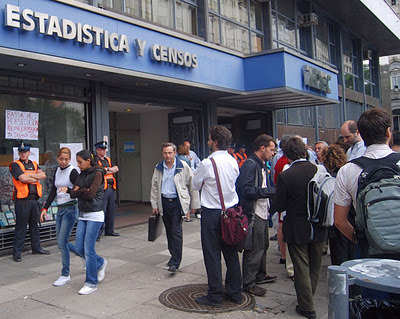 It’s not so much the disparity between official and independent figures that’s cause for concern – that’s been a fact of life ever since the government replaced professionals with political appointees in the state statistics agency INDEC more than three years ago. While this lends new meaning to Mark Twain's famous comment about "lies, damned lies and statistics," it’s truly troubling that the government has chosen to punish the bearers of bad news, fining several private consultants 500,000 pesos (roughly US$125,000) each for publishing figures that contradict the official line. Not only that, it has issued subpoenas to six newspapers – Ámbito Financiero, Buenos Aires Económico, Clarín, El Cronista, La Nación and Página/12 – for contacts of reporters and editors who have dealt with the topic over the past five years. This could, conceivably, lead to their being called as witnesses against the consultants and even the IMF. The press, in turn, has denounced this as intimidation on the part of the government. According to the Associated Press, some economists “now secretly give their data to the congressional freedom of expression committee each month” but, if this month’s elections result in a government majority in both houses, even that outlet could disappear. Appropriately enough, all this happened in a week in which more than a million books await release from Argentine customs. These hostages are victims of the government’s plan to print more books in Argentina – still a huge market for print - but Argentine publishers complain that domestic costs are higher and the quality lower than books printed elsewhere. Unfortunately, the president restated the policy at the inauguration of the new Museo del Libro y de la Lengua (Museum of the Book and Language), alongside the Biblioteca Nacional (National Library, pictured above) in Recoleta. 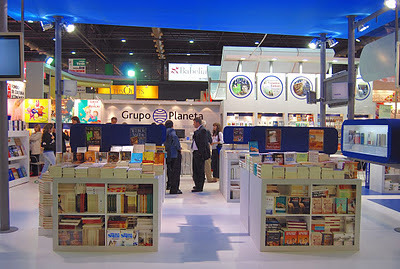 In Buenos Aires, a city whose annual Feria del Libro (pictured below) is one of the world’s biggest book fairs, it makes no sense to restrict the movement of books across borders. 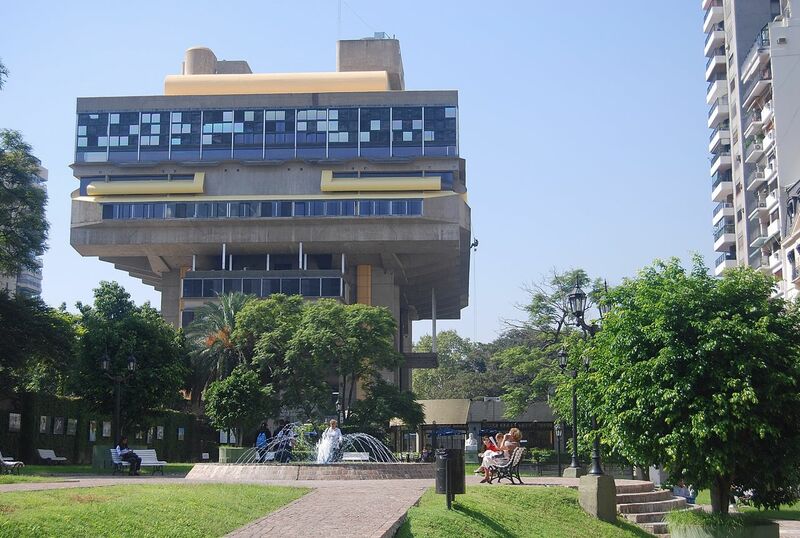 Otherwise, the motto of “a city open to the world of books” is a sad irony.